With passage of Senate Bill 7x-7 in 2009, California formally adopted a goal to reduce statewide urban per capita water use by 20 percent by the year 2020. This was not an ambitious goal; nonetheless, it was an important step forward. For the first time, the state sent a signal to water suppliers and the public that water conservation and efficiency are state priorities. 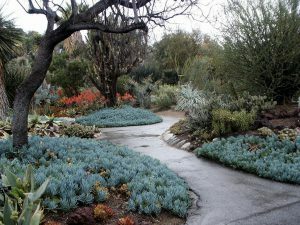 Beginning in 2012, however, the state was gripped by a severe drought that called for even greater water use reductions. In response to worsening drought conditions, Former California Governor Jerry Brown mandated that water suppliers reduce urban water use by 25 percent. Remarkably, most California communities achieved this mandate, with some suppliers seeing reductions of more than 40 percent. Former Governor Brown has issued several executive orders to help the state respond to the drought and to begin preparing for a future of more frequent, severe, and longer-lasting droughts. Notably, in May 2016 he issued Executive Order B-37-16, directing state agencies to take actions to use water more wisely, eliminate water waste, strengthen local drought resilience, and improve agricultural water use efficiency and drought planning. Throughout this process, the Pacific Institute worked closely with state agencies, including the State Water Board and Department of Water Resources, water suppliers, and a diverse coalition of environmental and social justice organizations, such as the Natural Resources Defense Council, WaterNow Alliance, Climate Resolve, California Coastkeeper Alliance, Community Water Center, and the Environmental Justice Coalition for Water. During the 2012-2016 California drought, the Pacific Institute played an active role in state and local drought response efforts, as well as preparation for future droughts.